Most Christians know that the Old Testament ends with the book of Malachi and the New Testament begins with Matthew. In most English versions of the Bible, one blank page separates the two books. What many Christians may not know is that one blank page can represent many years—400, to be exact. That said, these 400 years have not always been represented by a blank page; in fact, they used to be represented by fourteen books known as the Apocrypha. 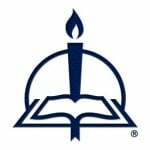 For centuries, every Lutheran’s Bible included the Apocrypha as long as Luther’s Bible translation was still used. However, when Lutherans moved to English, the Bibles available to them did not include the Apocrypha, so it fell out of the awareness of many Lutherans. Concordia Publishing House is pleased to announce the revival of these forgotten books with the publication of The Apocrypha: The Lutheran Edition with Notes—the first and only study edition of the Apocrypha published in English with extensive Lutheran notes, and one of the very finest editions of the Apocrypha ever published for use by all Christians. For those reasons and many more, McCain and Rev. Edward Engelbrecht, the book’s general editor, consider the Apocrypha to be an important text, not to be forgotten. They explained that it is an important tool for helping Christians understand the New Testament—primarily because it fills in the background for what people were experiencing before Jesus. To assist readers in their study, Concordia’s edition of The Apocrypha includes extensive quotes and explanations from Martin Luther and Johann Gerhard. It is also replete with study notes and commentary from scholars to assist the reader—lay or professional. 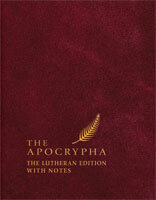 To order your copy of The Apocrypha: The Lutheran Edition with Notes, visit cph.org or call 1-800-325-3040. To request a review copy, please e-mail Rosemary.Parkinson@cph.org. To schedule an interview, please call Emily Barlean at 314-268-1294.